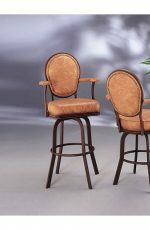 Victorian bar stools are characterized by ornate curls, flared legs and detailed metal scroll backrests. 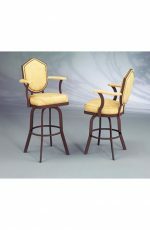 Some favorite designs are scrolls, flowers and leaves. 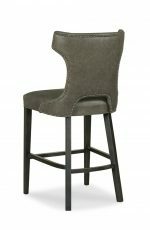 Backs on the stools can be oval-shaped, horseshoe-shaped and seats are usually upholstered. 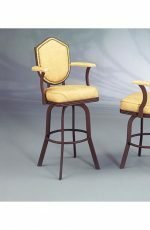 Some have tufting with buttons and the seats can be round or oval. 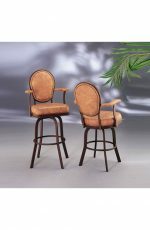 Victorian style pairs well with country, french country, traditional, cottage and farmhouse styles. 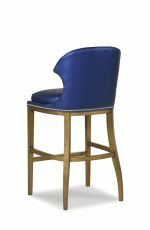 Prominent colors include gold, silver and white. 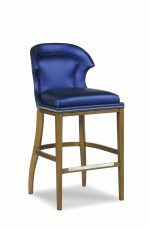 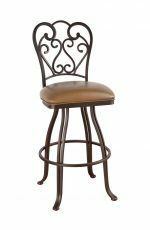 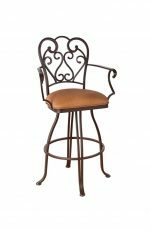 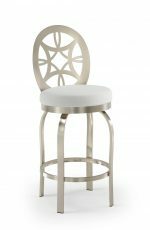 Our Victorian bar stools are made of steel metal and can be customized to your liking. 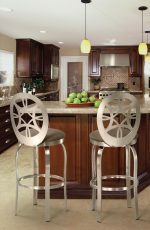 Simply select your metal frame finish, seat cushion and more. 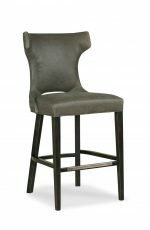 We’re here if you have any questions!